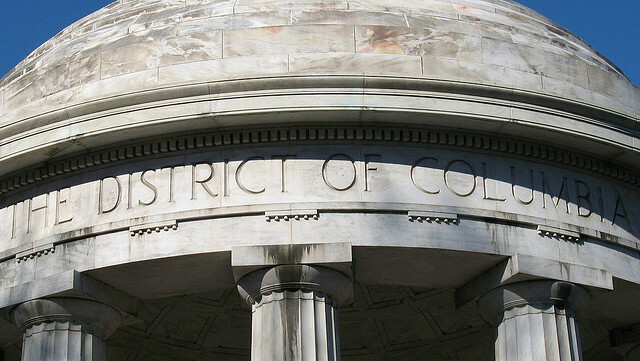 The District of Columbia War Memorial was completed in 1931 to honor the residents of Washington, DC who served in the First World War. 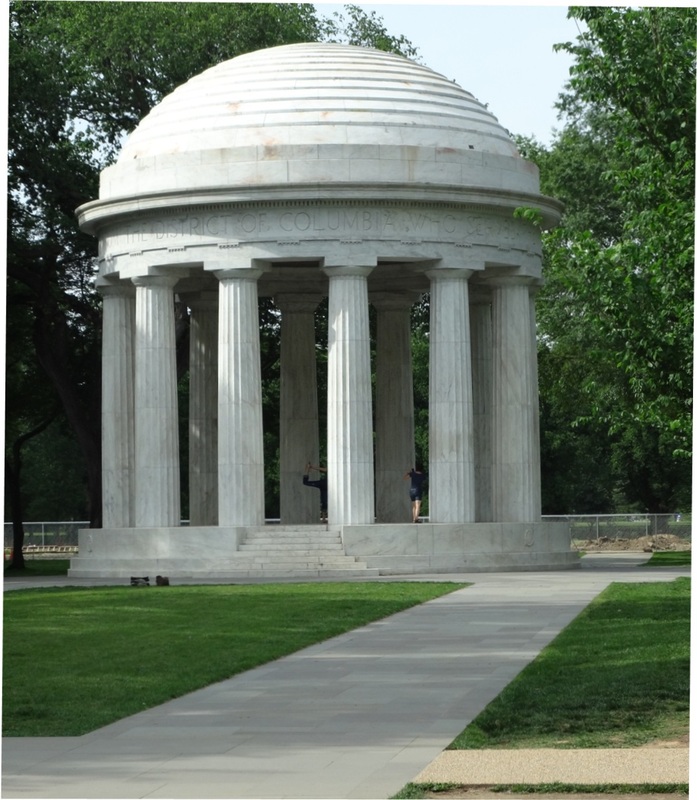 The Memorial is located in West Potomac Park between the Reflecting Pool and Independence Avenue. 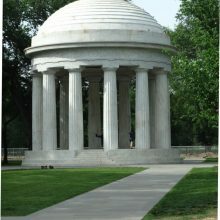 Designed by the architect Frederick H. Brooke, the Memorial was intended to be used as a bandstand as well as serve to memorialize the 499 Washington, DC residents who died in service during World War I. 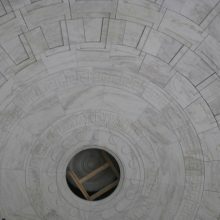 The Memorial is a circular open-air Doric structure of Vermont marble. 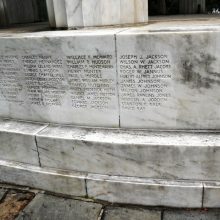 Historic documentation reviewed as part of the assessment indicated that the memorial began to exhibit problems stemming from its design as early as 1939. 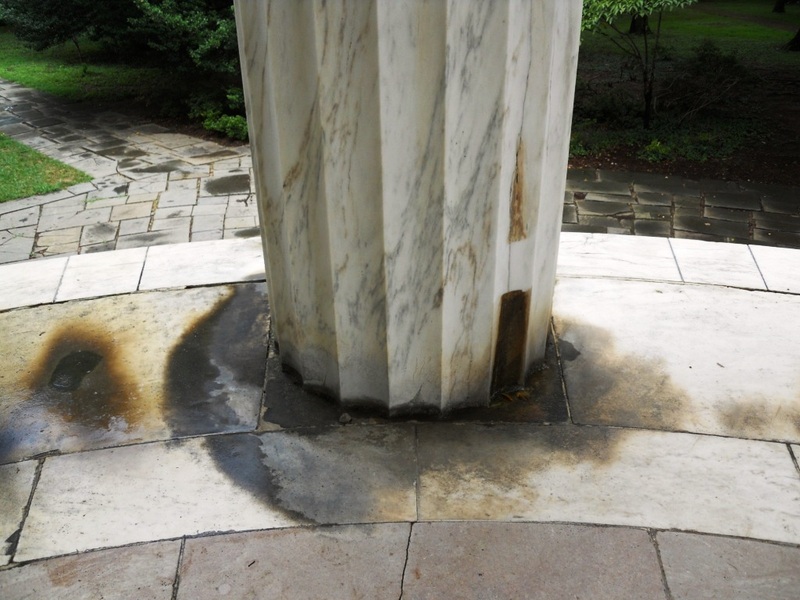 Deferred maintenance resulted in moisture infiltration through open joints, causing many of the conditions observed today including a thick buildup of calcium carbonate crusts on the columns and floor and localized metallic staining. 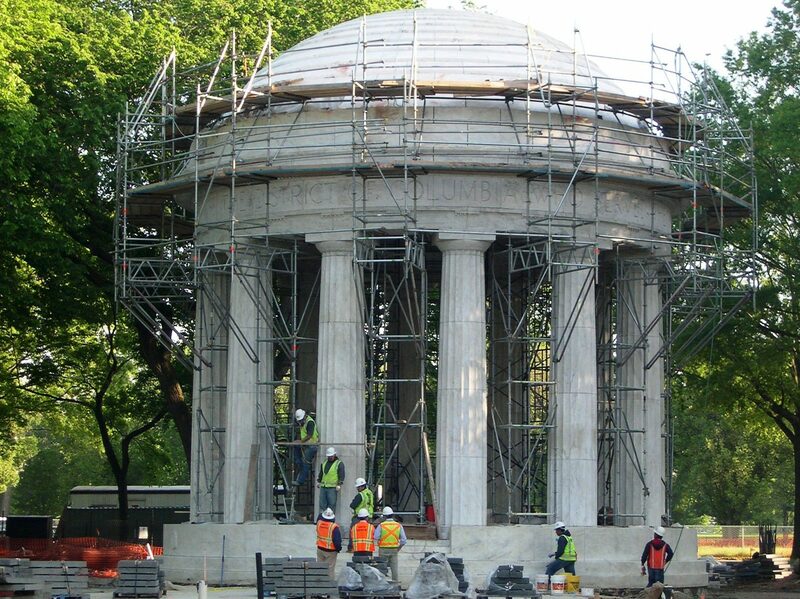 The purpose of the testing program was to assist the project architects in determining the condition of materials, identify root causes of observed deterioration, and provide appropriate methods for cleaning and repair. 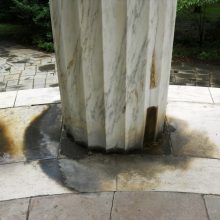 The goal of the cleaning was to produce a uniform appearance consistent with the structure’s age and material character, and to achieve these results with minimal intervention. A series of on-site cleaning tests and mockups was performed. 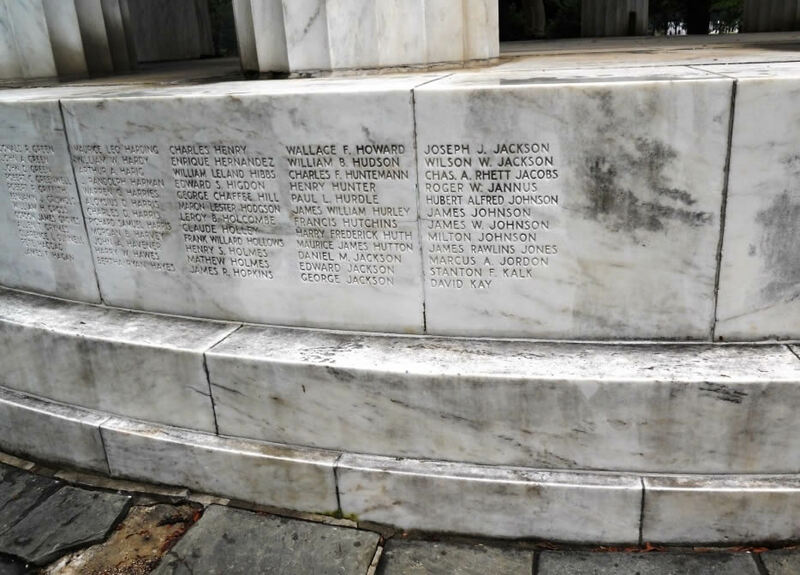 As part of on-site cleaning testing, representative material samples were removed from the memorial for laboratory testing including mortar, marble cores, and microbiological specimens. Where orange-red stains on the roof tiles had been visually identified by others as biological in nature, we confirmed these stains to be the result of lead salts (red lead) stemming from imbedded lead materials. 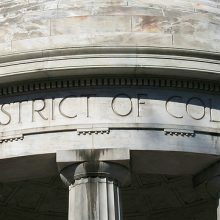 Testing also identified the presence of a silicone-based water repellent which was not previously confirmed through documentation. 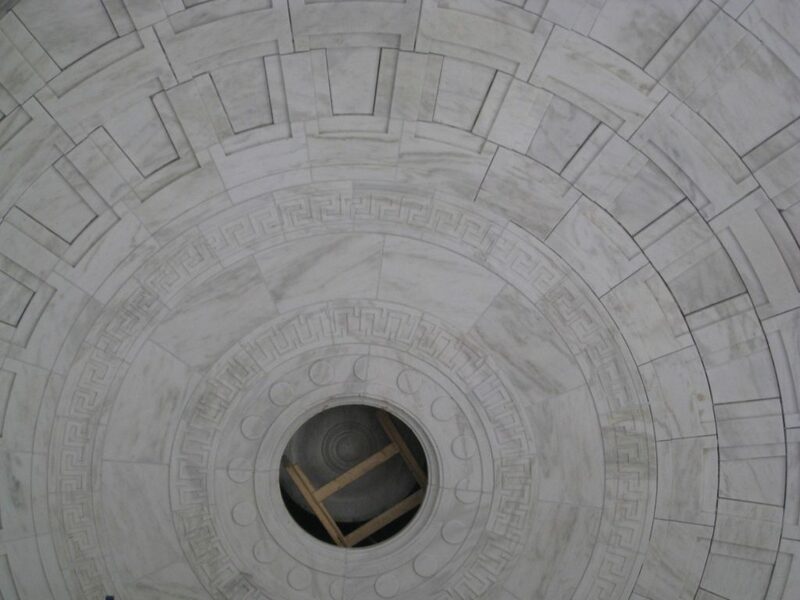 We developed a comprehensive specification for masonry cleaning, and then provided oversight of all masonry conservation activity throughout the construction process. 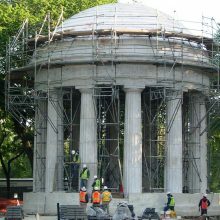 This project has been selected as the Winner of the 2013 Presidents Award by the DC Preservation League and American Society of Landscape Architects Potomac and Maryland Chapter.